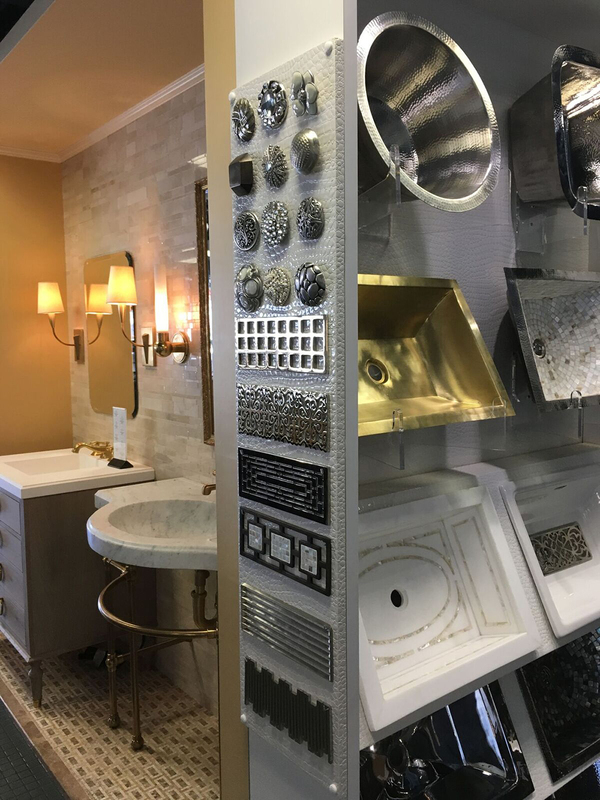 With its artful vignettes, working displays, walls of faucets, mounted decorative hardware, rows of stylish, lighted vanities and more, Designer Bath and Salem Plumbing Supply in Beverly immediately impresses. While expansive, the inviting 4,500-square-foot kitchen and bath showroom has a "boutique-like" feel that is every bit as friendly as the knowledgeable staff that greets and guides clients from the outset of a project to its fruition. Founded in 1945 by Bill Sevinor, Designer Bath and Salem Plumbing Supply is Greater Boston's longest-standing decorative bath showroom. Though its carefully sourced offerings unequivocally speak to the here and now, Designer Bath has a history on its side; the family-run company is currently in the hands of the third generation and owned by Jason Sevinor, with his sister Mindy Sevinor as the Showroom Brand Manager. 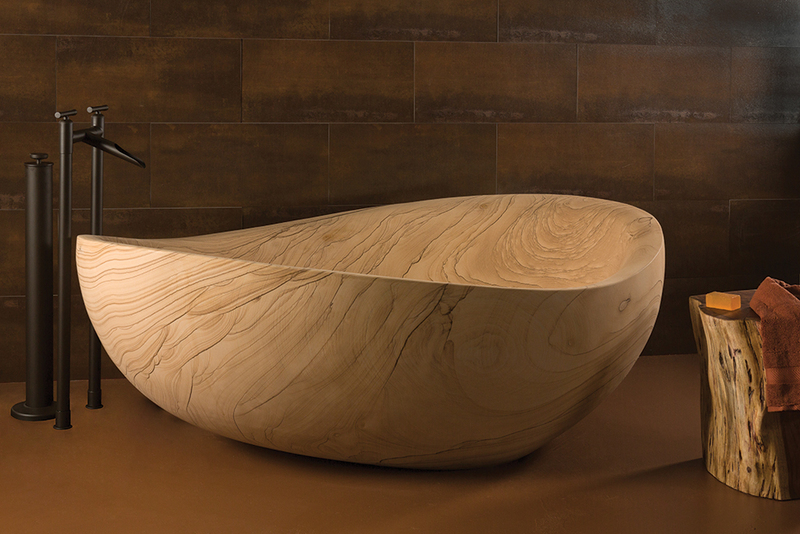 Designer Bath's Stone Forest tub crafted of sandstone is the only one on display in the country. For decades, Designer Bath and Salem Plumbing Supply has been a go-to resource for designers, architects, builders and homeowners and it isn't hard to see why. 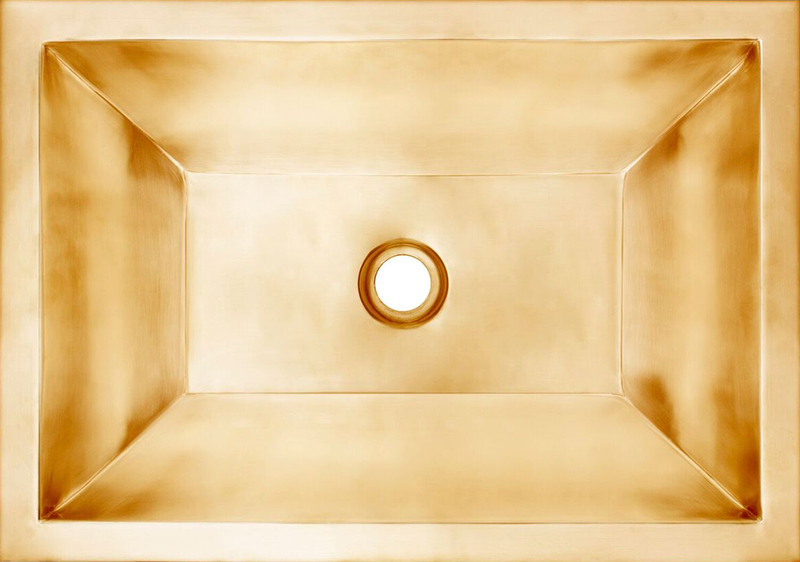 Customers and trade professionals alike are encouraged to delve beyond the visual and experience the impeccably curated collection of top-of-the-line fixtures and accessories. Consumers can compare how kitchen faucets from the likes of Dornbracht and Brizo respond to touch or stream water, step into a sculpted sandstone tub to see how it cradles the body and feel the smooth onyx of a Stone Forest vessel sink. They can also activate Duravit's wall-hung remote controlled toilet seat, get a sense of how water cascades from a succession of showerheads and view a working steam shower. Displays, featuring coveted brands like Ammara Designs, Crosswater, Bain Ultra and The Galley, mingle decor styles ranging from the classic to the cutting-edge, with a similar breadth for budget. There is plenty of food for thought; clients can envision a traditional master bath replete with Carrara marble, a soothing oasis with clean-lined contours and earth tones or a look thatt rocks industrial chic for their own abodes. Mindy and Jason Sevinor are regulars on the trade show circuit, constantly scouting product launches and the kitchen and bath industry's newest reveleations. Not content to stop at the mainstays (i.e. sinks, soaking tubs and air baths), Mindy Sevinor also sources brilliant smaller details, like cabinetry hardware crafted by former jewelry designer Lisa Jarvis and decorative sink drains that lend a handcrafted, personalized touch. 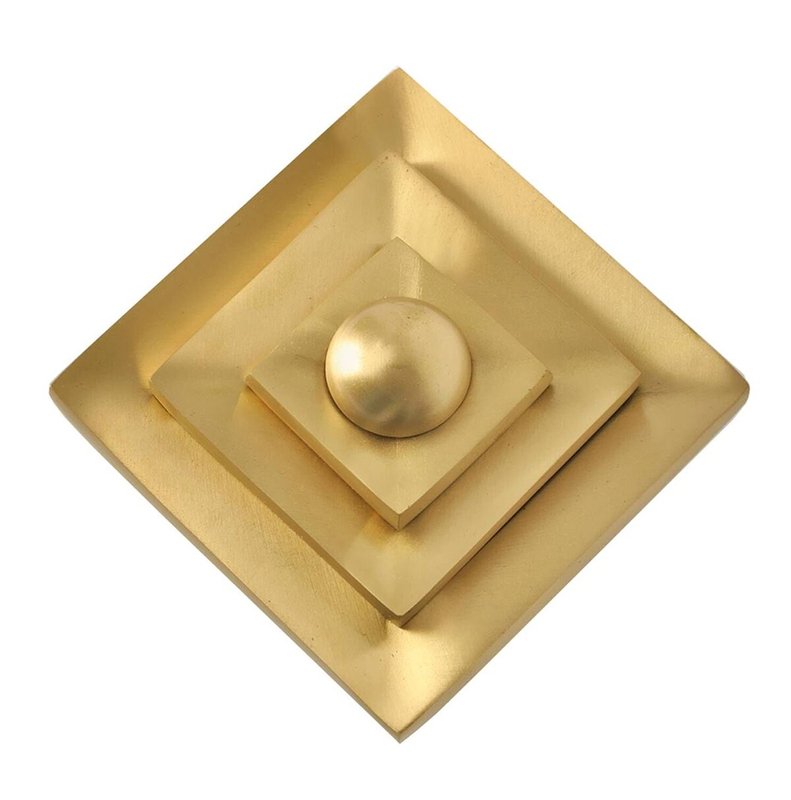 What is most striking about Designer Bath and Salem Plumbing Supply, however, isn't what meets the eye. It's the know-how behind the gleam of polished chrome or nickel and "the experience that comes through longevity," maintains Jason Sevinor. "We've spent a long time getting to know the brands, the players, the process." There are many complexities and technologies with kitchen and bath construction and a lot of moving parts. Successfully navigating the different players, budgets, lead times, product fits and leveraging partnerships is critical in two of the most important and highly trafficked rooms in the house. Sevinor suggests, "You really want the right partners from the start." Mistakes in construction are not only costly, they are not always easy to rectify. Designer Bath is happy to "play quarterback," says Sevinor, to ensure that the process runs smoothly and is relatively stress-free. Oftentimes, the plumbing element is the speed bump. With an adjacent wholesale plumbing business that caters to trade customers, the Designer Bath showroom staff has an understanding of the plumbing installation process and the challenges that often arise. 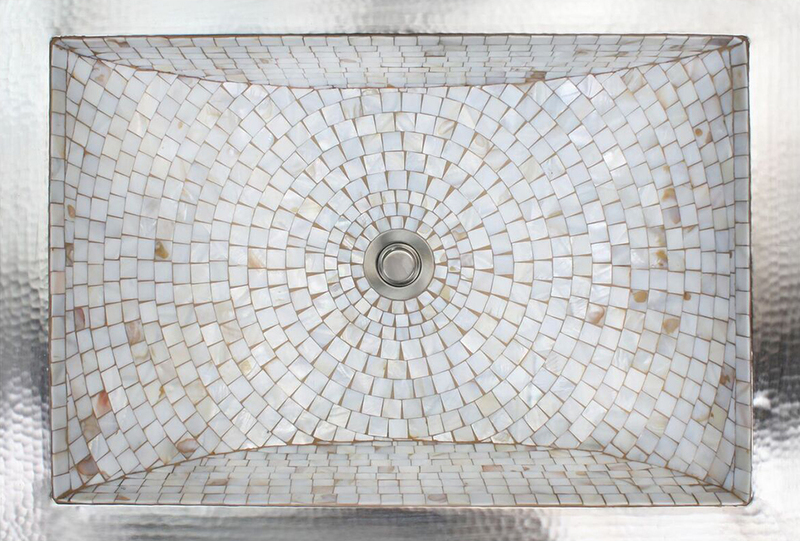 While admittedly less glamorous to discuss than a glowing mirrored vanity, Designer Bath's wholesale background provides a major advantage, if not dazzle. Relationships and a hands-on approach form the core of their business. "Service before, during and after the sale" was a founding principle for Sevinor's grandfather and is a legacy still prized today. In a world of flagging customer service, communication and attention is both refreshing and reassuring. 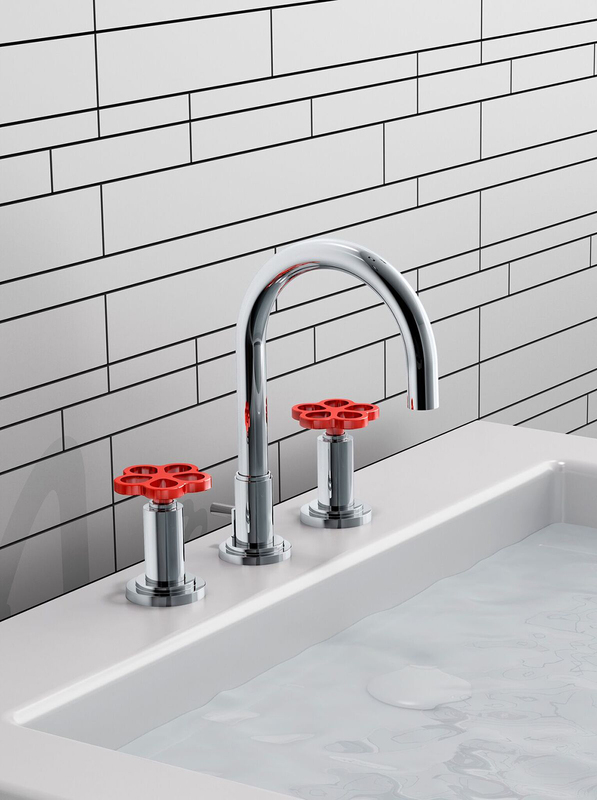 Customers of Designer Bath aren't solely purchasing a kitchen or bath fixture, they're buying that connection and commitment. It's clearly a winning formula. Designer Bath and Salem Plumbing Supply has recently nabbed a few "Best Of" awards for the region, as well as Northeastern University's "Family Business Award" 2016, a statewide laurel that is particularly meaningful to the team. Come summer, Designer Bath is opening a new showroom in Watertown to better serve the MetroWest clientele- with the same commitment to personal service and boutique setting. Until then, Designer Bath is more than worth the trek to Beverly, as homeowners receive innumerable payoffs with a purchase and recoup significant time over the course of a project. "Visiting our showroom is a fantastic investment of your effort and energy because we will save you hours and stress over the course of the project," says Sevinor. "The way I like to look at it, we work hard to make sure the trip is worthwhile."